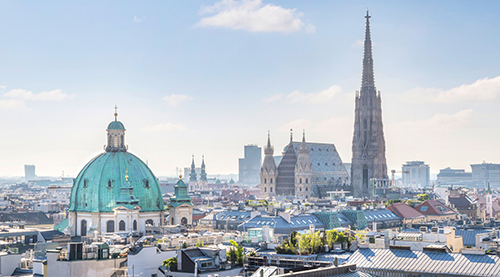 The Vienna Arbitration Days 2018 will take place from 19 – 20 January 2018 and discuss the topic “Venturing into New Fields and New Ways of Arbitration”. Once again we welcome participants from numerous jurisdictions around the globe for two days of discussion on leading topics in international arbitration. We are happy to announce that this year’s keynote speech will be delivered by Maxi Scherer (QMUL, Wilmer Hale). Speakers and moderators include among many others Christopher Boog (Schellenberg Zürich), Felix Dasser (Homburger AG), Kate Davies (Allen Overy London), Anne Grill (Schönherr), Ragnar Harbst (Baker McKenzie Frankfurt), Nadja Jaisli (Bär & Karrer AG), Christoph Liebscher (Liebscher Dispute Management), Carol Ludington (Ludington LTD), Florian Neumayr (bpv Hügel), Maja Stanivukovic (University of NoviSad, Faculty of Law). In order to give our members the chance to secure their participation, Arb|Aut offers a special rate for Arb|Aut members (i) who register and pay the registration fee on or before 12 October 2017 and have (ii) have already paid their membership fees for 2017 at the time of registration. If you want to make use of this opportunity, please request the password necessary for preferential registration via e-mail and register under this link.